Sheffield Digital is the association for the people and businesses of Sheffield’s digital industries. The Sheffield Digital Slack team is a community of people who work or have an interest in the city’s tech and digital sector. There are currently 1000+ members of our Slack team. You can learn more about what Slack is here. When you join the Sheffield Digital Slack team, we automatically add you to our #-general, #-intros, #-goodnews, #-events, #-random and #-specifics channels. The #-intros channel is for you to leave a brief message that tells other members who you are, what you do and what you’d like to get from being part of the community. We encourage everyone who joins the Slack team to do this. From there, you can explore and join other channels that take your interest. We have channels that relate to specific topics, meetups and projects. You can join (and leave) as many channels as you want, whenever you want. Official channels are created and maintained by the admins. They always include a dash at the beginning of their channel name. Please do not use the @channel command, which sends a notification to everyone in a channel, to any of the official channels without permission from an admin. Here is a full list of official channels and what they are for. 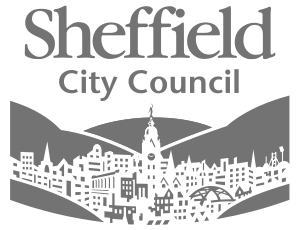 #-events – This is where we post details of events in, close to, or relevant to Sheffield. Events are pulled in and automatically posted into the channel from the OpenTech Calendar, Sheffield Start-up Digest and Sheffield Digital’s own Google Calendar. #-freelancers – A place for freelancers to introduce themselves and share their knowledge. It’s also the channel to head to if you need a freelancer in a hurry. #-general – We use this channel for community announcements and other important information. We ask everyone to keep the channel clear and easy to read by using threads or moving in-depth conversations to other channels. #-goodnews – A channel to share and promote good news stories from Sheffield’s tech and digital sector. It’s to celebrate your success, not just big wins for the city, including things that make you do a quiet fist pump. #-intros – This is the place to introduce yourself to the community. It’s not just for new members. Anyone can remind the community of who they are and why they are here at any time. #-jobs – Jobs posted on the Sheffield Digital jobs board get automatically pulled into the feed in this channel. #-map – This channel is for discussing the Sheffield Digital Ecosystem map, which features companies, start ups, co-working spaces and other interesting locations in the city. #-meetups – A channel for people who organise meetups in Sheffield to discuss what they do and share knowledge. #-membership – A place for discussion and announcements about Sheffield Digital memberships. #-podcast – This is where we discuss ideas for the Sheffield Digital Podcast and where you can share thoughts and feedback on the show. New episodes are posted here and notifications when we are about to begin live streaming the recording to Facebook. #-policy – A channel that provides a space for strategic and policy debate about the digital sector and its relationships with the city, wider region and beyond. #-random – A place for non-work-related flimflam, faffing, hodge-podge or jibber-jabber you’d prefer to keep out of more focused work-related channels. #-skills – This is for talking about skills, training, apprenticeships and employer engagement; anything that relates to skilling up the city. #-specifics – This channel is for discussing specific problems and challenges. It’s where we send conversations in #-general when things start to get a little more detailed and technical. #-workspaces – This channel is for discussing the provision and design of workspaces, co-working spaces, home offices and other spaces in Sheffield. We encourage you to start a thread when replying to a message that is likely to lead to a longer conversation. You can create a new thread by hovering over a message and selecting the speech bubble icon. On the mobile version of Slack, you need to tap a message to find a list of actions. Threads allow conversations to flow without cluttering up the main timeline of a channel. This is particularly important in #-general because we want to make sure announcements and queries don’t get lost or missed. Anyone can start a thread and the ‘All threads’ link in the sidebar displays a list of all open threads. Any member of the Sheffield Digital Slack team can set up a new channel. However, we ask you to check the channel directory to see if there is already an active channel that covers the same topic. We currently have more than 60 channels, so there is a good chance that what you want already exists. Before creating any new channel, we ask you to contact an admin to discuss your idea. We ask everyone who joins the Slack community to read and accept our Code of Conduct. Though we hope it is a friendly, welcoming environment, the code of conduct is there to outline the behaviour we expect from all members. It also includes information on what to do and who to contact if you have any issues with another member of the community. The Sheffield Digital Slack team runs on a free Slack account, which means our archive is limited to the most recent 10,000 messages. However, we use slackarchive.io on the official channels to provide a longer record. This record goes back to the time it was first enabled in February 2017. If anyone would like to retrieve messages from this archive (or remove them) please contact an admin. We have implemented this so we can recall and tell the narrative of how the community and specific projects developed or found their inspiration. We have limited this feature to the Sheffield Digital Slack team’s official accounts. However, if you are a channel operator and would like an archive to be maintained, we can enable this too. Slack – the company – retains complete logs of all channels and direct messages back to when we created the Sheffield Digital Slack team. Slack is a U.S. company and therefore subject to subpoenas from U.S. courts. Our logs may be subject to subpoena and could become public as part of legal proceedings. Your first point of contact with any questions or issues is Iain Broome, our Community Manager. If he can’t resolve the problem, he will contact one of the other admins and get back to you as soon as possible. You can contact any of our admins through Slack. You can also email iain@sheffield.digital with any questions or issues. This is version 2 of the Sheffield Digital Slack community guide. It was last updated by Iain Broome on 17 September 2018.